Cable installation in Toronto plays a very pivotal role in any residential and commercial establishment. It links major nerve centers that power the entire operations within these premises. 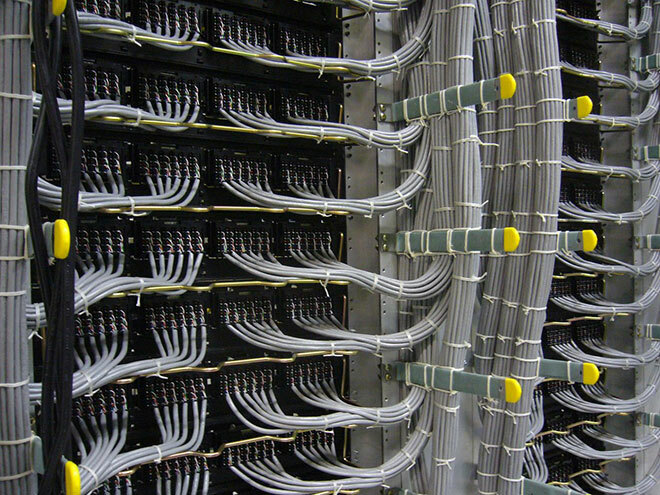 Improper cabling can make it difficult to maintain and improve data centers. This brings down the efficiency and eats into the productivity of business operations. Below are some cabling tips that can enhance the organization of your entire data cabling structure. There is a common mantra that goes “measure twice and cut once”. This means that measurements need to be done with a lot of precision so as to prevent wastage which can be expensive in both the short and long run. In addition, improperly measured data cables can cause an entangled mess. Every cable is designed to fit into a particular slot. However, with intensive network cabling, you could end up with a bunch of wires all pointing towards the same slot. To ensure that you do not confuse these cables, you need to label them at the starting and end points. This will give you precision when fitting each cable into its place. The labeling system must be consistent to avoid confusion later in the process. The tendency of rushing through the termination of cables may not yield much to you apart from bringing headaches and unnecessary troubleshooting practices. Any loose cables should be redone instead of being terminated. This can create messy cabling environments. After you connect a given cable, you need to first of all test it before commissioning it into the network. The tests must be satisfactory and not just bare passes. In case any cable connection does not meet the 100% pass mark, you need to redo it until it attains that test mark. You should also use a quality tester so as to avoid mediocre results. This will save you lots of inconveniences and extra workload later on. Toronto cabling Toronto professionals can advise you on the best testers to use. It does not benefit anyone to use long and winding cables to connect two close terminals. Measure appropriately and keep the cables short. Apart from looking terrible, long cables lower efficiency levels. If the servers being connected on the other hand are far apart, you need to use your network cabling skills to create patch cables that are short and reach perfectly. Tangles and kinks are common in with long cables. For consistency and uniformity, you should stick to a single color for your cable runs and patch cables. The only time you can opt out of this and adopt another color is when you require a specific purpose cable. Avoid a random use of colors because this can make it difficult to follow through cables and even bring about troubleshooting issues. Uniform colors also improve the appearance of your data center. When buying a conduit, you need to focus not only on the present need but also at your future needs. The future has countless possibilities and who knows you could increase and your needs may multiply. Plan well to avoid double expenditure instead of a one off purchase. There needs to be a synchrony between the data center layout plans and the cabling system. For instance you should not put a rack at a point that will make it difficult for a cable to run through. With good planning, you can avoid this incongruence. The planning process should also be done with an expansion angle. You will grow some day and you may need extra conduit and drops. Never at any time run power lines and Cat5 together. Many people think that it is minimal and therefore not much of a concern. However, the problem will come in when the power lines leach signal and interfere with the operation of your Cat5 cables. Although bunching together lots of Cat5 wires can ultimately result into a similar scenario, the difference will be in the magnitude of the effect. Power lines are more ferocious. When it comes into the maintenance of cool environments, many networking experts think of the server. Although this is true, the server is not the only equipment that needs cooling; the cables too require that. Cables warm up in the cause of transmission and when lots of them are put together, the heat dissipated can cause trouble. Your data center should be designed in a manner that enables the cables and the server racks to cool off. Through hiring of data cabling Toronto experts, you stand to benefit much. We have the expertise and the experience to plan and layout your cabling system in a professional manner.